Ace Landscape Construction can do cutting to trimming, watering systems to infertility programs for customers. We provide all services you need for your property maintenance. Our property maintenance service begins with a full spring time in which we will clean up all the leafs and also prepare all gardens by trimming of plants and trees. Lawn cutting and trimming will be done weekly. A general clean up of the property where no litter or grass cutting waste is left in the flower beds, parking lot and pathways. 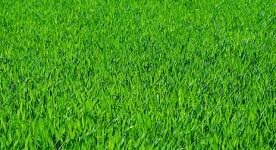 Ace Landscape maintenance provides grass cutting and plant trimming services on the weekly basis. Our property maintenance crew have fixed schedules for each day of the week for grass cutting and plant triming. Hence, your property is maintained on time. Our property maintenance is performed on same day each week providing timely and reliable service. Ace Landscape Construction will provide Eco-friendly advice to fertilizing schedules and optimize watering in order to maximize the health and beauty of your property’s plant life. Ace Landscape Construction core aeration service is the best way to improve your soil health. Our aeration service removes the summer drought effects which will improve your lawn health and reduces weed growth. It also helps in good grass growth and better irrigation to your lawn. Ace Landscape Construction maintenance services includes loose waste disposal, parking lot clean up and emptying outdoor litter cans for commercial properties. we are currently serving many commercial properties across GTA. All of our litter pickup and disposal services are performed early morning so that you property looks neat and clean at the start of the day. Thanks again to the Ace top of the line spring/ fall cleanup equipments. We are loaded with leaf sucker dump trucks to provide you hassle free and fast cleanup service ever. Ace greater Toronto area spring/fall cleanup service is the one of the best services in the GTA. With all of the other Ace Landscape maintenance services, we also take care of the beauty of your garden hence providing regular fertilization, trimming and regular weed removal to your garden. Also, our property maintenance crew take of the dry spots and dead plants in your garden.